South African Skeptics > Skepticism > Conspiracy Theories > Topic: When did the History channel turn into sludge? When did the History channel turn into sludge? Re: When did the History channel turn into sludge? Yea the History channel was in trouble a few years ago. That is when the new Manager took over and decided to fill it with junk. Good insight. Now whenever someone pipes up at the channel and asks: But is this history? The answer quickly comes: "Remember how we suffered when we did those boring history shows? No! We gotta sell sell sell baby. If we can't sell a show to the masses then its not worth producing. Bam!" Na they're not bad with that. One months notice. You probably signed a contract. You're stuck. They got you now! Mwa-ha-ha! Mrs Kent seems to switch her subscription on and off at will. It seems to be loosely correlated with Gordon Ramsay's Masterchef series. Arme ek. Let me guess: Mrs Kent can cook brilliantly, but she lets fly with the most hideous language if you set a foot wrong in the kitchen. But hoping to get some good Docies for him to watch when he is bigger. There's some good stuff on BBC Knowledge occasionally. Bit of a cut above the usual Yank bilge. Disclaimer: some of my favourite people are American, but jeeeez. 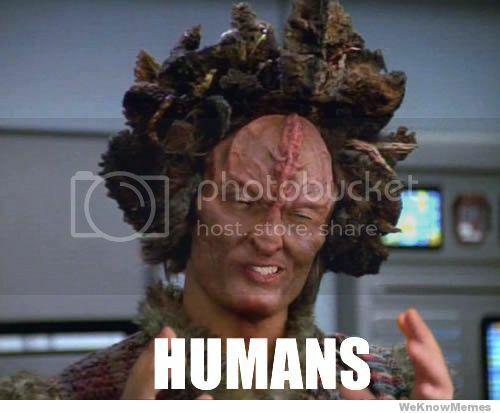 I must admit that all the silly internet memes featuring that Ancient Aliens whackjob make me ROFL, though. Hi, my name is Lurkie. I am a Prison Break addict and have to watch at least three episodes per sitting. Page created in 0.319 seconds with 24 sceptic queries.